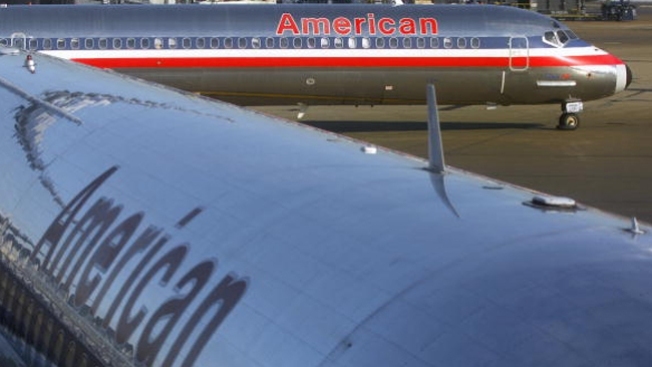 Three American Airlines flights and an American Eagle flight made emergency landings Monday, two within minutes of each other at Dallas-Fort Worth International Airport. The first two flights to make emergency landings departed DFW while the other two were inbound from Sioux Falls, South Dakota, and Miami. All of the flights landed without incident and without any injuries to any passengers. The first emergency landing involved American Airlines Flight 1359 from DFW to Fresno, California. The MD-80 departed DFW at about 11:20 p.m. and returned at 12:21 a.m., the airline said, after the pilot reported an unspecified mechanical issue. The 140 passengers headed to Fresno were moved to a new plane and departed for the West Coast at about 1:30 a.m.
Just two minutes after the Fresno flight landed, Flight 997 to Buenos Aires, Argentina also made an emergency landing at DFW. The Boeing 777 departed the airport at 7:58 p.m. and returned at 12:23 a.m. after a warning light in the cockpit indicated there was a pressurization issue, American Airlines said. The 223 passengers that were onboard that flight are expected to once again be on their way to Buenos Aires at about 9 a.m. Monday. At about 8:30 a.m. Monday, a regional jet being flown for American Eagle from Sioux Falls, South Dakota to DFW diverted and made an emergency landing after the pilot of the ExpressJet Embraer RJ reported a cracked windshield. The pilot diverted to Wichita Mid-Continent Airport and landed without incident. Late Monday morning, Flight 1615 from Miami to DFW returned to Miami International Airport Monday after the pilot reported the smell of smoke in the cockpit. The flight took off at about 11:15 ET. The pilot of the Boeing 757 turned around and landed back at Miami at 1:09 p.m. ET without incident. According to an airline spokeswoman, Laura Mavidal, there was never any visible smoke and the plane is being checked out before being returned to service. NBC 5 is also looking into a third American Airlines flight that may have made an emergency landing in Boston due to a wing flap issue. Separately, investigators are looking into a wing flap malfunction on Southwest Airlines Flight 1704. The flight from Sacramento was on approach to Burbank when it had to be diverted to Los Angeles Saturday due to the malfunction. The flight went to nearby LAX because the airport has a longer runway and a maintenance base where the plane can be serviced. A spokesman for Dallas-based Southwest Airlines told The Associated Press the plane was out of service Saturday night, has been inspected and will be repaired before it's put back in use. Aviation experts say the problems aren't serious, but the fact that they occurred within a 24 hour period is unusual. "It's unusual, probably, that you would have that many incidents in the air, that the airplane would have to turn around and come back. That doesn't happen every day," said Denny Kelly, a pilot and former investigator for the National Transportation Safety Board. NBC 5's Jeff Smith and Bianca Castro contributed to this report.